The best material for the tennis net body is polyethylene and polyester because these products are resistant to fading from UV radiation and other weathering effects. The “mm” measurement is the thickness of the net cord. The thicker the net cord, the longer the net should last. 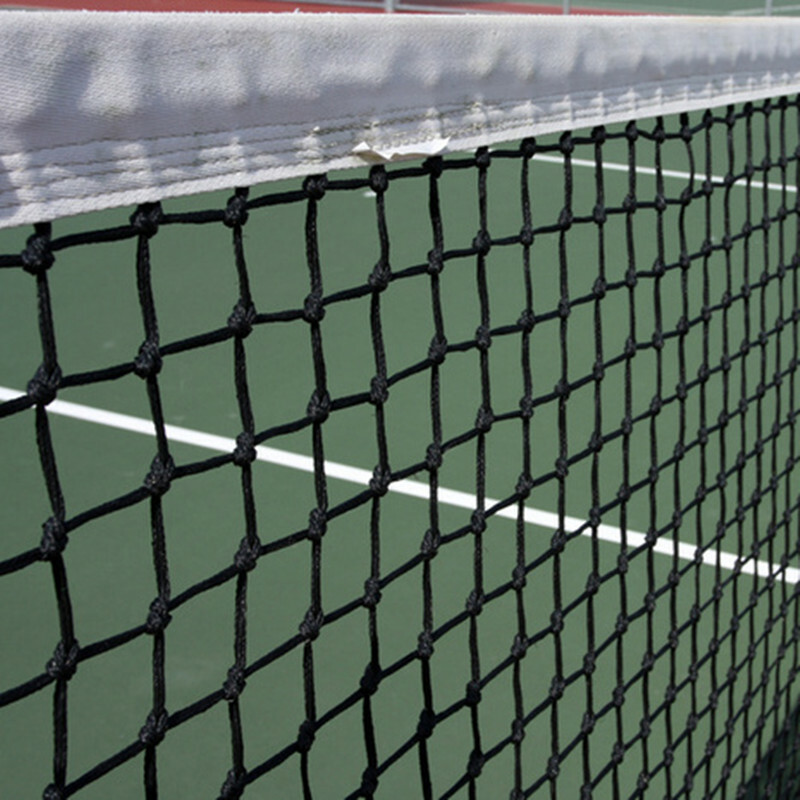 Typically, tennis court nets are made of 2.5 mm – 3.5 mm net cord. Braided nets are stronger and absorb more energy. Therefore when a ball hits a braided net, it will drop closer to the net instead of bouncing off of it. Some tennis nets have an extra layer of net body at the top 5, 6 or 7 rows. The reason for this is that the top of the net is the area that gets the most abuse or wear and tear. Therefore, the extra netting will provide a longer lasting life of the net. Most tennis net headbands are made of vinyl or polyester materials. The headband should have two layers of material (or referred to as double layers) and should have a minimum of four layers of double stitching to hold the two layers together. 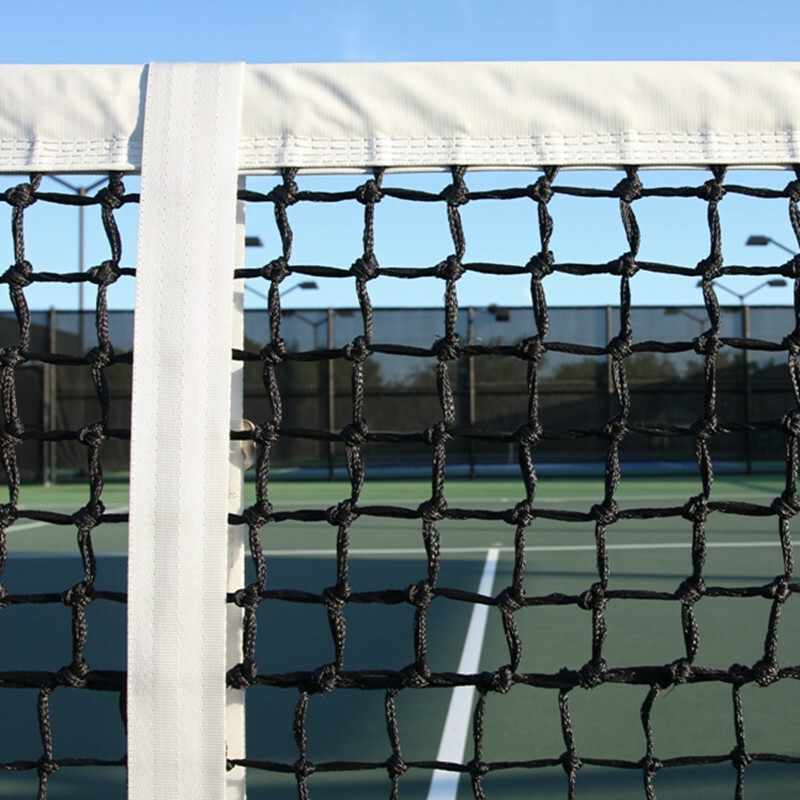 Some manufactures offer tennis nets with the option of vinyl or polyester headbands. A vinyl headband is great for all tennis surfaces, especially soft courts (clay) because the vinyl headbands can be easily cleaned. A polyester headband is not recommended for soft courts because the headbands can get dirty from the clay and it is difficult to remove algae and mildew from polyester headbands. So in conclusion, vinyl headbands are good for all surfaces and polyester headbands should only be used on hard court surfaces. The stitching is the key element to consider concerning the side and bottom bands. The side and bottom bands should have at least two rows of polyester stitching. The tennis net cable should be 47’ long and vinyl coated. Most tennis net cables are 5/32” to ¼” loops at both ends with a 2,600 lb. breaking strength.